Complexion Perfection provides a balanced blend of oils to deliver natural 3, 6 & 9 fatty acids. Complexion Perfection provides a balanced blend of oils to deliver natural 3, 6 & 9 fatty acids. 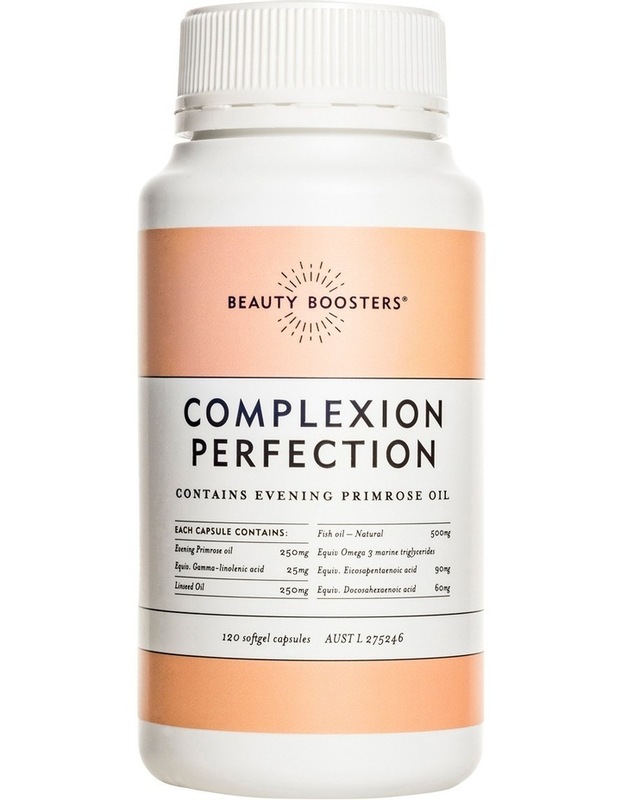 Complexion Perfection contains fish oil, a natural source of Omega 3 fatty acids DHA and EPA that are essential for normal growth and development. Omega 3 fatty acids are very important as the body cannot produce them and we can therefore only obtain them from the diet. Evening Primrose oil is a natural source of Gamma-linolenic acid and traditionally used in herbal medicine to assist in the relief of dry, itchy skin conditions. 120 Capsules.